The Battle of Lexington took place on April 19, 1775 in the village of Lexington, Massachusetts, west of Boston. On the evening of April 18, 1775, British troops left Boston to advance on Concord with the objective of confiscating a cache of colonial arms and ammunition. American spies learned of the British plan and sent Paul Revere and William Dawes on horseback to warn the people between Boston and Concord about the British march. Revere is noted for yelling his famous warning, “;The regulars are coming!”; as he rode on his mission. On the morning of April 19, 1775, British troops entered Lexington on their way to Concord and encountered a force of about 70 militiamen. Greatly outnumbered, the militiamen were ordered to disperse before the advancing British, when someone inadvertently fired a shot that started the American Revolution. 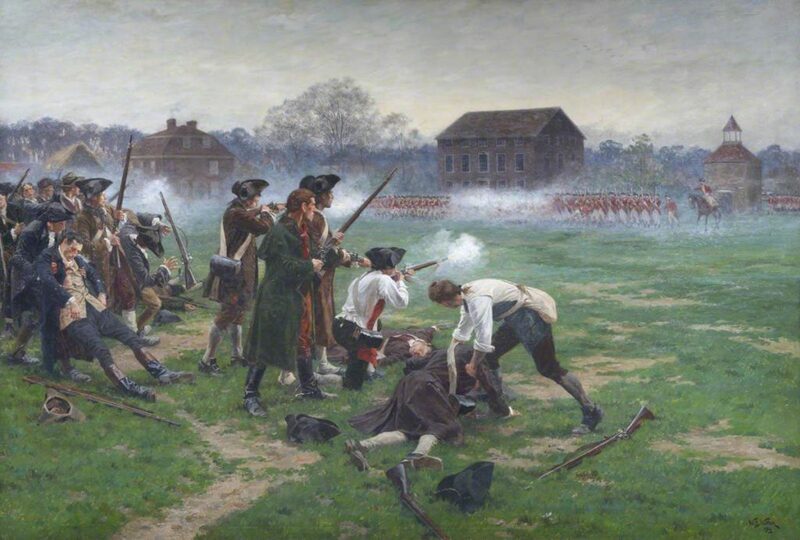 The first shot fired at Lexington on the morning of April 19, 1775 came to be known as “;the shot heard ’round the world”; because of its historical impact. It is not known if an American or British soldier fired the first shot at Lexington. After the first shot was fired at Lexington, the British troops formed ranks and routed the outnumbered militiamen. Eight Massachusetts militiamen were killed and 10 were wounded at the Battle of Lexington. One British soldier was wounded. After order was restored in Lexington, the British continued on their advance toward Concord.